Intermittent hypoxia (IH), also referred to as hypoxia-reoxygenation, is a condition where periods of normal tissue oxygen pressure (normoxia) cycle with periods of low tissue oxygen pressure (hypoxia). This alternating lack of oxygen is associated with various forms of the respiratory illness, sleep apnea. Those afflicted with sleep apnea can see oxygen fluctuate dramatically during sleep and this can occur upwards of 60 times per hour. The harmful consequences of this seem to originate from both the hypoxic and the reoxygenation phases. Nevertheless, the molecular mechanisms supporting such pathophysiological effects remain incompletely understood in vivo. Intermittent hypoxia also has an affect on various pathological diseases like myocardial infarction, stroke, cardiac arrest or septic shock. Research has indicated that extended drops in oxygen may lead to negative effects such as pulmonary vascular remodelling, elevated pulmonary artery pressures and right heart hypertrophy. The reoxygenation phase, likewise, is also associated with negative repercussions such as inflammatory response and oxidative stress, which has several adverse cardiovascular and neurocognitive effects. 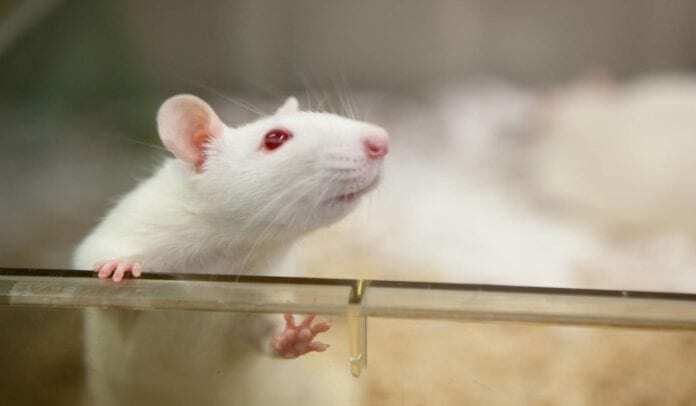 While cellular studies are still done, much of the research in this area over the past few years has shifted and is now focused on in vivo models, namely mouse or rat, within hypoxic chambers. Many protocols have been used and these procedures vary widely. Differences in protocols include the depth and duration of hypoxia (from seconds to an hour), the number and length of hypoxia-reoxygenation cycles (from tens to hundreds), and the overall time of exposure to these cycles. Over this time, few companies are investing in hypoxia animal chambers with even fewer functioning properly to be able to effectively be used in IH studies. One chamber that has been designed with intermittent hypoxia in mind is Baker Ruskinn’s VelO2x animal hypoxia chamber. So, what are some of the main issue’s researchers have encountered when trying to successfully study IH in vivo within their labs and how can/have these problems be solved with the VelO2x system? Multiple protocols exist for each IH condition that substantially change the number of hypoxia-reoxygenation cycles, hypoxic oxygen levels and duration of hypoxia animals will face. Of all the problems I will mention this is the only one that does not have a definitive answer. What seemingly needs to happen is the in vivo community of hypoxic researchers needs to standardise this in some way for each hypoxia disorder based on the condition’s phenotype. It is not all bad news though, since there is substantial research being done, in many cases we are beginning to see trends where the similar hypoxic protocols are being applied by different researchers making results comparable across studies. A major issue investigators interested in IH come across is that oxygen ramping speeds within their chambers (from low to high or high to low) have often been slow. Generally, the goal should be to reach the desired O2 level as fast as possible to simulate going in to and coming out of apnea. The VelO2x has been designed to provide extremely quick ramping of O2 levels within the animal chamber. The largest animal holding chamber can ramp down from 20.9% to 6% in 30 seconds and up from 6% to 20.9% in 45 seconds. In the smaller chamber, these ramping times are considerably faster. This means rodent models are in an environment as close to IH as is possible. Another situation many researchers have run into is, although gas flow can be controlled in customised cages, the homogeneity of the gas mixture is often difficult to achieve because of laws relating to fluid mechanics distribution. The worry here is that different rodents, despite being in the same cage, may be exposed to drastically different air conditions. The VelO2x hypoxia chamber has a novel solution here in that gasses are not put into the system one at a time, but rather go through the ICONIC gas mixer. This ensures that what enters the chamber is a full mixture of the gasses and animals should be exposed to gases at nearly the same rates. The VelO2x is also a closed system which will keep O2 steadier over time compared to systems with continuous ventilation. Animal welfare in any in vivo study should be of the utmost importance. While commercial systems undergo processes to ensure compliance with animal safety, many “homemade” systems may not comply with strict animal protocol standards. Animal welfare and safety were certainly considered in the design of the VelO2x system. The system logs all exposure of O2 and CO2 levels if needing to submit to a regulatory committee. Further, sound levels have been checked and should comply with animal welfare standards (< 80 dB). Across many labs, as bench space becomes filled with equipment, researchers are beginning to find they have less and less space to actually complete their studies. Thus, researchers appreciate equipment that is designed in a way to limit the physical footprint of equipment while still functioning appropriately. The VelO2x is a compact and efficient system. While the system does come in two parts – the animal chamber and the ICONIC gas mixer – they can be stacked to limit the overall footprint of the system. Last and often times the most important item to labs is the affordability of large systems. Labs with limited funds need the ability to purchase equipment to forward their research and labs with large grants want to make the most of the funds they have. The VelO2x is unequivocally one of the most affordable options on the market with features like dynamic O2 control, gas mixing and a touch screen for ease of use. This system opens the door to all in vivo researchers needing oxygen control to have a system that can meet this need.